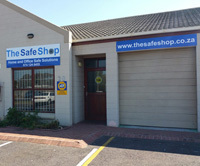 The Safe Shop offers Safes, Gun Safes, Deposit safes, Key Cabinets, Key Safe’s & related security products online and in store in South Africa. Based in Cape Town, we stock a wide selection of safes, key safes, gun safes, digital safes, drop safes, Cash Deposit safes, laptop safes, Hotel & Guesthouse safes and more, at competitive prices. Stocking leading brands such as, Master Lock, Sentry Safe, Yale, Assa Abloy, Mutual & Austen, BBL, Xpanda, Magnum, Cape Town Safe Company, Jaguar and much more, from both local and international suppliers.